Twelve-year-old Kari grew up along the banks of the Kusumi River, east of the village of Kokoda. His father taught him the traditional ways of his people, and Sister Mary taught him English at the mission schoolhouse. 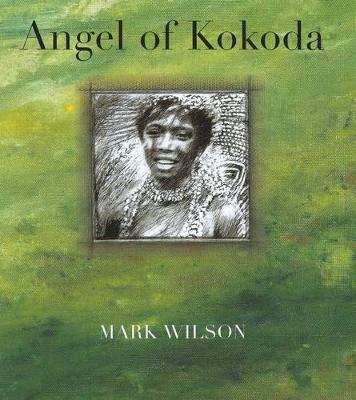 One day Kari s peaceful world is shattered when a bomb rips through the village of Kokoda. Kari searches among the wounded and finds a young soldier lying in a ditch. The soldier is badly hurt, but Kari will not leave him. Together they make the perilous journey to safety along the Kokoda Track. During the Pacific War of World War II, a series of battles were fought along the Kokoda Track in Papua New Guinea. The villagers who assisted the troops became known as the Fuzzy Wuzzy Angels. Using a combination of oil paintings and pencil sketches, the multi-award-winning author and illustrator Mark Wilson brings this important period of history to life in this stunning picture book for older readers.